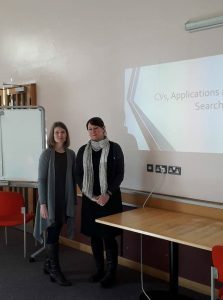 Clare Fagan, Director of Ten-Percent Legal and Hannah Luhde-Thompson of Unllais after the CV Workshop March 2019. Thank you to Clare Fagan of Ten-Percent Recruitment for delivering a brilliant course today in Flintshire. Supporting people to create a fantastic CV! ….Recruiters are right to have some optimism, however, says Jonathan Fagan who is managing director of Ten-Percent Legal Recruitment and a blogger on the legal market: “In my experience, the legal job market follows the housing market quite closely. If we are in a buoyant market for housing then many law firms are lifted by this and will start recruiting, and that is what has happened in 2013 and is likely to continue into 2014.” …. With a patchy, competitive legal job market, unless you are in residential conveyancing, how does a candidate get taken on, particularly at the junior end, or find that new challenge (or better pay)? Juniors need to get experience because “that is what law firms want” – and that is also a reason why many lawyers are offering to do short term placements and locum work, to get a foot in the door and get that experience. Mr Fagan agrees. He says that he has just placed a CLE in-house with a German company which was interested in “experience over qualifications”…..